DNFX, what do you mean? 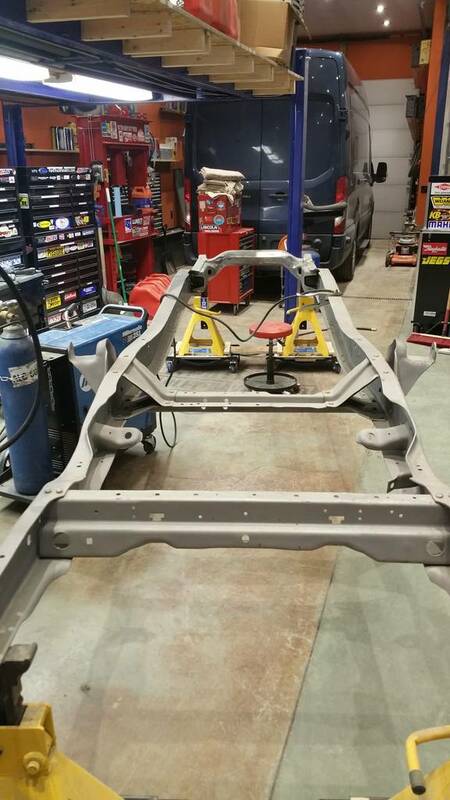 I moved it out from under a lift to where I can access it easier to do more filling (welding) and grinding of the frame in preparation for powdercoating. Planning on spending some time on it Tuesday. What did you do to your dent today? Frame off restoration? That is a big endeavor! I've been a year doing nothing but chasing drip rail rust, dents here and there, prepping for paint etc. today is canopy day, got a couple factory ford canopies going to pick the better and work it up for paint before the camping season. That is one clean and organized garage! Today I removed the brake brackets from both sides of my firewall, removed the bolts that hold the bed to the frame, and I removed the body mount bolts. As of right now, I'm waiting on my local machine shop to get back to me so I can go pick up my newly prepped block.